Witness the 2000 U.S. presidential election through the eyes of photographers Callie Shell and David Hume Kennerly. 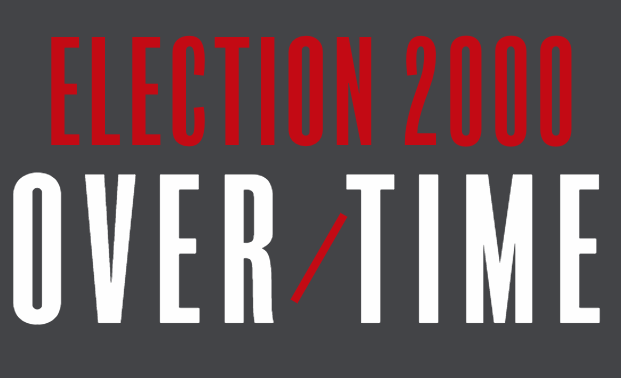 Election 2000: Over/Time was produced by Vanessa Gonzalez-Block and Amy Eason, with help from Haley Draznin and Prem Thakker, and with sound design by Emma Seslowsky. Additional production support was provided by Damian Prado, Stephany Cardet, Page Ellerson, Arielle Sacks, Alex Rosen, and Steven Sevilla. Special thanks to Ed O'Keefe, Nitya Chambers, and Cullen Daly. Emma Seslowsky is the host. © 2018 Cable News Network. Turner Broadcasting System, Inc. All Rights Reserved. Terms of service. Privacy guidelines.